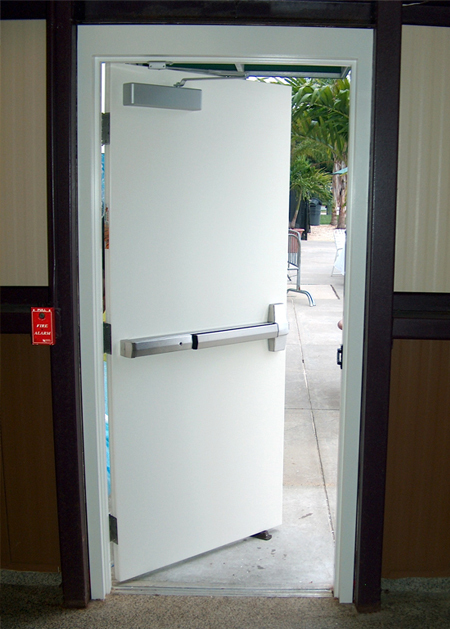 For the renovation of city school, Bunting supplied new custom sized hollow metal doors, with continuous gear hinges to meet the heavy duty use requirements of a public high school stair exit door. Bunting supplies and installed new fiberglass doors and frames as well as corrosion resistant hardware for doors in the pool area on the Harford County, MD health and fitness club. The original metal doors and frames had corroded due to exposure to water and chlorine in the pool area. 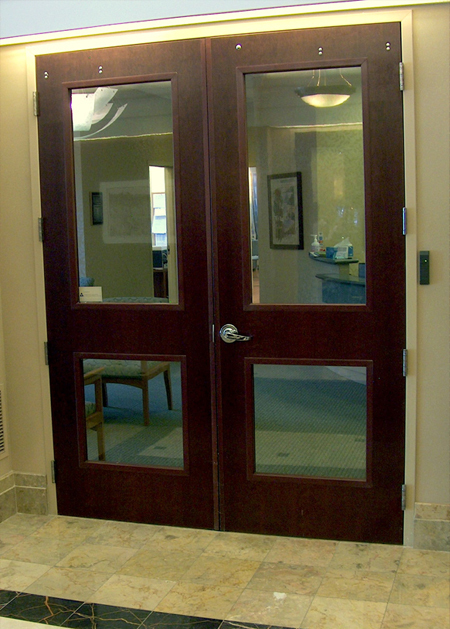 Bunting recommended and supplied Tiger fiberglass doors to eliminate future problems. 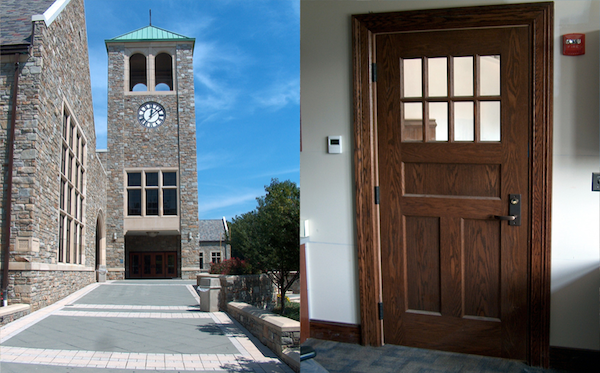 Bunting supplied doors, frames and hardware for the new dormitories at Stevenson University's Owings Mills campus. We worked with the developer to find products to meet the stringent requirements of a college dorm and still be within the budget. Bunting supplied the doors, frames and hardware for this new athletic facility, helping bring the project in on time and in budget. 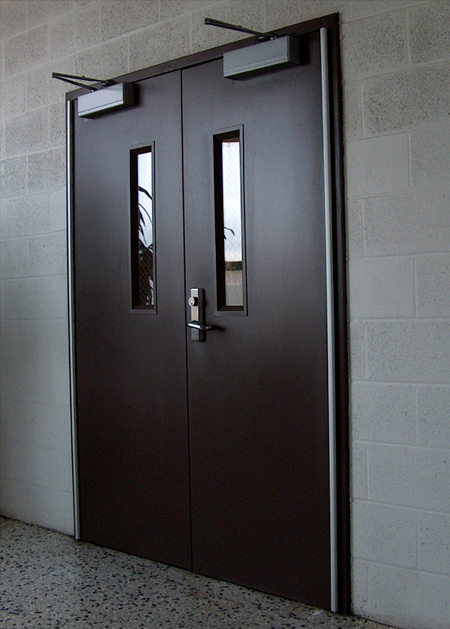 Products supplied included factory pre-finished wood doors, FRP doors and steel doors. Bunting supplied wood and metal doors, hollow metal frames and hardware for this new construction project in Pikesville, MD. Bunting supplied and installed a new custom stile and rail door, side lights and hardware to meet the university's historic restoration standards. 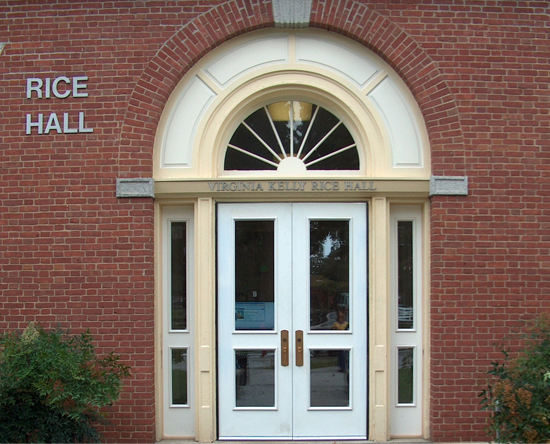 This door serves as the main entrance to a residence hall and is integrated with the campus-wide security system. We sent a custom design to our suppler, Harring Door, who added custom trim details to meet the architect's design requirements. Bunting supplied and installed new custom stile and rail doors and side lights. Also included were new hardware to match the existing design, a handicapped automatic operator and electromagnetic locks to work with the university's existing security system. 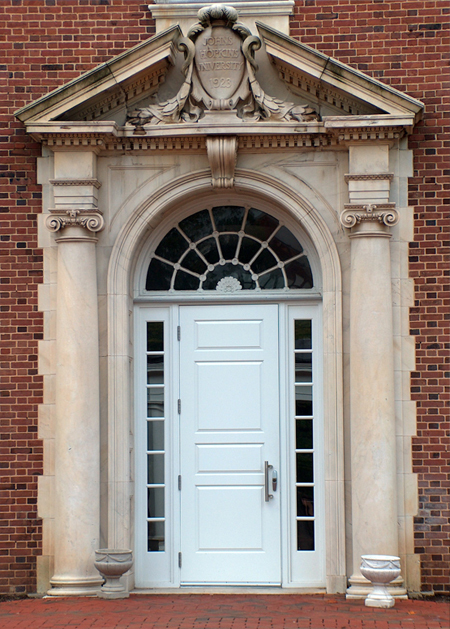 Bunting supplied doors and hardware for this private boys' high school in Baltimore City. For this major renovation project, Bunting supplied and installed new Eggers stile and rail doors to match the existing design. A new master key system was also created for the school. 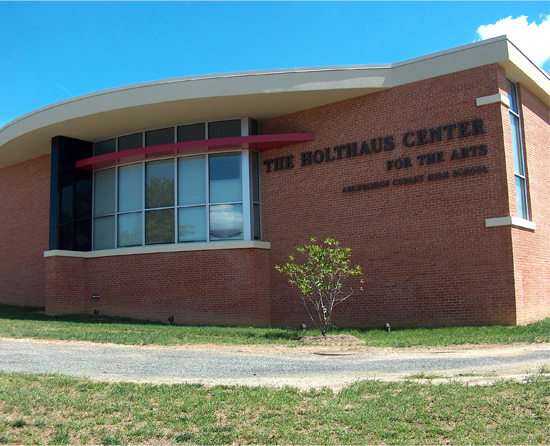 Bunting supplied wood and metal doors, frames and hardware for this multi-use facility, which includes cafeteria, lounges, offices and athletic facilities. 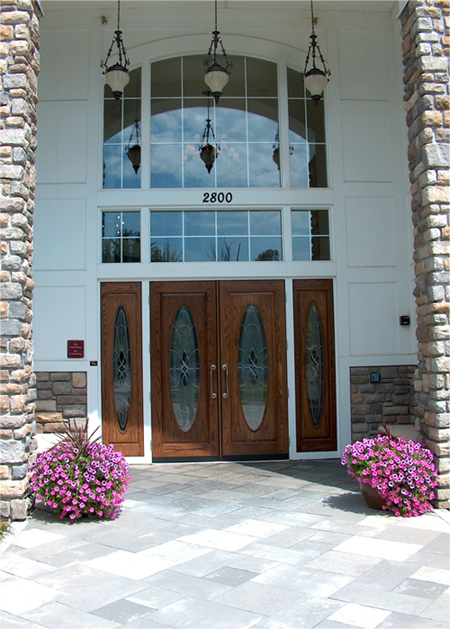 Bunting Door & Hardware Co. is one of the largest distributors of Wood & Hollow Metal Doors & Architectural Hardware in the Mid-Atlantic region, supplying quality & service at a competitive price.